Being outdoors can be fun, as long as you have enough protection from the elements. Of course, if you are outside on a warm summer day, it is not enough that you applied sunscreen lotion on your skin. If there is rain, it could get in the way of you enjoying your planned outdoor activity. In these circumstances, all you need are awnings and outdoor blinds. These objects, which you can easily notice hanging above doors and windows of commercial areas such as hotels, restaurants, and cafes, are something that you may want to add for your home. Having one, indeed, enables your outdoor area to be even more attractive. Not only that, but you can enjoy your outdoor activities despite the sun’s heat, rain, snow, or wind. Investing on awnings can bring you to a lot of possibilities for your outdoor decorations in your home. To begin with, awnings come in different colors and patterns, designs and materials. In fact, when you go to buy outdoor blinds, you can also customize the appearance of your attachments. You may put on additional accessories, or go for the simple framework and fabric for your home awnings of your choosing. You can also purchase those that are on display on home décor stores. · We all know that awnings are great must-have for your home, as they beautify the façade of your home as well as the outside spaces of your premises. 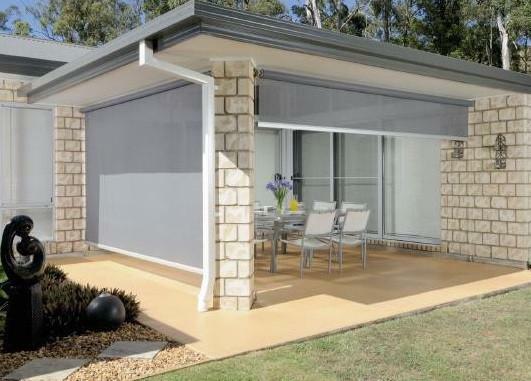 But then, in purchasing one, you are exposed to different awnings, which are suitable for a wide variety of settings. There are those that can fit in your home’s patio, your windows, or your doors. For instance, cassette awnings and open awnings are two examples of awnings that are both capable of providing shade and protection from the harsh elements. The difference between the two is the way they open and close; cassette awnings roll up the fabric or canvas while open awnings has “arms” that fold up. · Beautifying the façade of your house or your outdoor spaces by installing awnings means that you need to consider the color and pattern that would match the surroundings. More importantly, you can expect that in purchasing awnings, you would be looking at the type of material for your canvas; there are fabrics for the canvas that are sturdy enough to withstand fadeouts and wear and tear. In terms of design, you can go for single colors or go for the classic stripes in which the awnings are known for. When you buy blinds and or awnings in the market, you can expect numerous selections that you can even customize. · Awnings today are equipped with the latest technology to allow you to use them long-term. In fact, there are awnings that are operable by a motor, which activates the folding and unfolding of certain retractable types of awnings. With the push of a button located either on the motor or through a remote control, you can operate them whenever you like, whether the sun is overhead or the rain is falling. Also, when it comes to technology, awnings today are made from quality materials, from well-tensioned fabric to strong material for the frames, assuring you that they are fit for long-term use, no matter how harsh the elements may be.